Traveling with kids can be overwhelming. 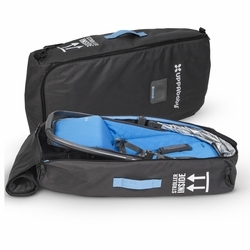 Our TravelBag protects your RumbleSeat or Bassinet so you can travel with ease. By registering your travel bag online, our TravelSafe program covers any damage caused to your RumbleSeat or Bassinet during air travel. Wherever your adventures take you and your family, UPPAbaby has you covered.